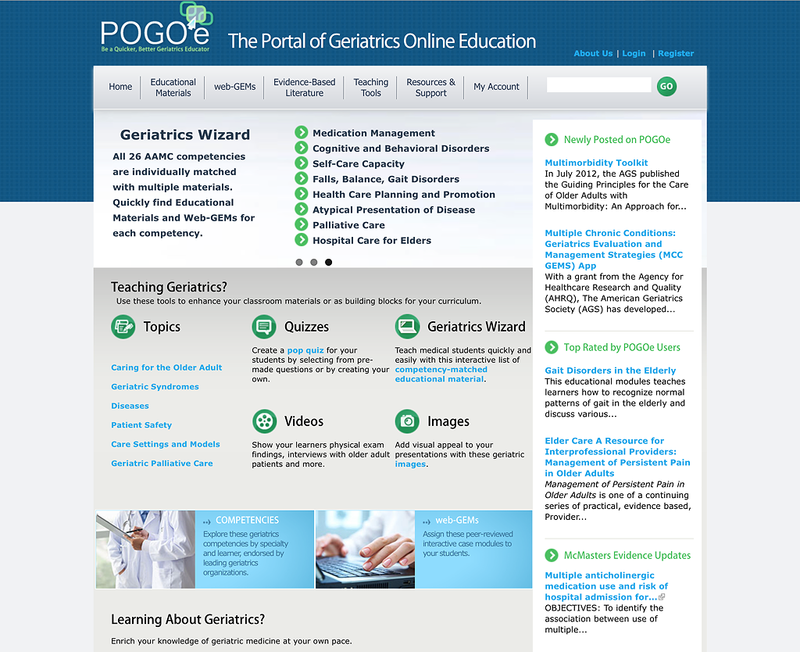 The Portal of Geriatric Online Education, www.pogoe.org, is a free public repository of a growing collection of geriatric educational materials in various e-learning formats, including lectures, exercises, virtual patients, case-based discussions, simulations, as well as links to other resources. Our team develops POGOe in collaboration with a group at Mt. Sinai hospital in New York. Vanderbilt has incorporated the KM search engine and concept indexer into the website so all documents are indexed and you can search on UMLS concepts. To find out more visit POGOe.